A few weeks ago we informed you about Google’s decision to forbid Amazon Fire TV devices from accessing YouTube due to an ongoing dispute with interoperability and sales. While the talks between Amazon and Google are still in progress, we noticed that the Google Chromecast was made available on Amazon which showed signs that the tension between two companies is receding. Today however we see Amazon taking a whole different route. It has announced in a press release that web browsing is being brought to Fire TV devices (Fire TV and & Fire TV Stick) with the help of Amazon Silk & Mozilla Firefox browsers. Now this move of bringing browsers could be seen as way to circumvent the YouTube access ban which is supposed to start from the beginning of next year. Now Amazon carefully tries to avoid the fact that the browsers are just for circumventing the ban. It points out all the advantages that are associated with the inclusion of a web browser on a streaming device which is very popular in US, UK and is catching up in India as well. The two browsers in question have to be downloaded from the Apps section of Amazon Fire TV. You can choose to go with either Amazon Silk or Mozilla Firefox depending on your requirements. These browsers are not fully fledged standalone browsers but have been developed to work specifically on Fire TV which means you may or may not get access to additional features like extensions on Firefox. Using browsers on Fire TV devices is helped with the help of Alexa powered voice search. This means you no longer have to fumble with the on screen keyboard. The Fire TV remote will provide navigation controls. While Amazon talks a lot about the features of its own browser it skimps out on the details of the Firefox for Fire TV. 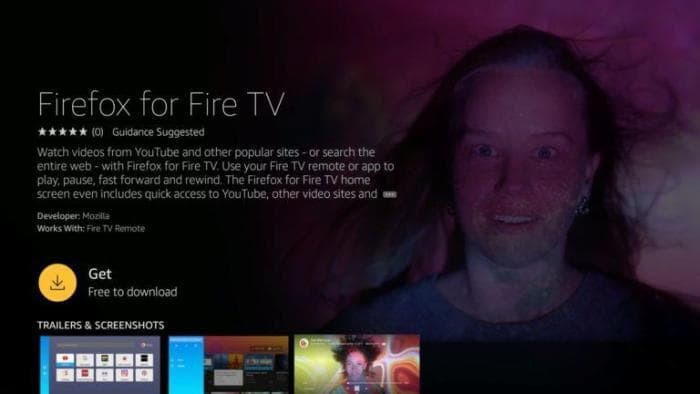 That is why Firefox took out its press release with the tagline that directly states that Firefox for Fire TV is just right for watching video at home. This statement clears Amazon’s intentions of undermining Google’s ban. If you have a Fire TV device and have used any one of the two browsers let us know your opinion in the comments section below.